Three residents of Andreevka village near Slaviansk accidentally stumbled upon mass graves near a chalkpit. According to DNR24 media, the burial place is on the north-west of Mount Karachun, near the chalk quarries. “The place is hidden around piles and conveyor belts. Burial is shallow, corpses under 5-10 cm of cover; fetor is unbearable. All cirpses are buried naked. Identification not possible. Advanced decomposition” – according to the website. Local residents found a total of four buria placesl, but to count the number of those buried is not yet possible. Obviously, there are hundreds, if not thousands of corpses. Residents of blockaded Slaviansk can now answer, that the “defectors” and “missing” soldiers of the Ukrainian army are inthe graves at Mount Karachun. 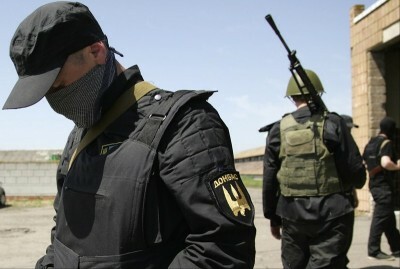 Earlier, the mayor of Sloviansk said that the security forces under Kiev control suffered heavy losses during the raid on the South-East of Ukraine: in just ten days, 650 people were killed and injured.